Our Skato toilet kit was created to be rugged yet stylish, an essential part of any self-made traveler. The N°DK9 is spacious and designed for simple storing in tight spaces or in a travel bag. Easy to cleanup, this dopp kit is durable and water-repellent and is clearly recognizable by its classic shape and refined character. 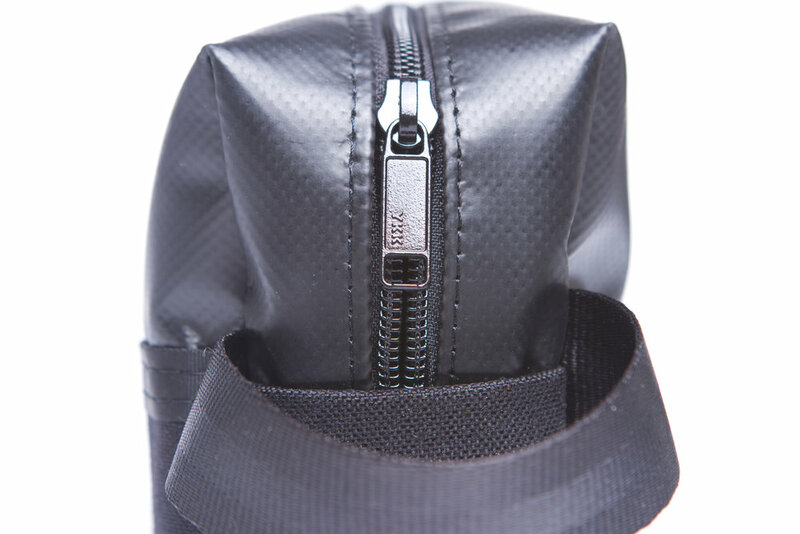 The Skato can be used as a toiletry bag as well as an all-in-one pouch. The interior is composed of two small side pockets. A small tab on the outside makes it easy to hang or loop through a carabiner. Size: Length 9 ", height 5", width 3.5 "
Material info: This material will change appearance through the aging and usage process. It will create a nice patina over time. Disclaimer** This material may show signs of wear due to the nature of the material and our production methods. Although some signs of wear may show, this material is new.